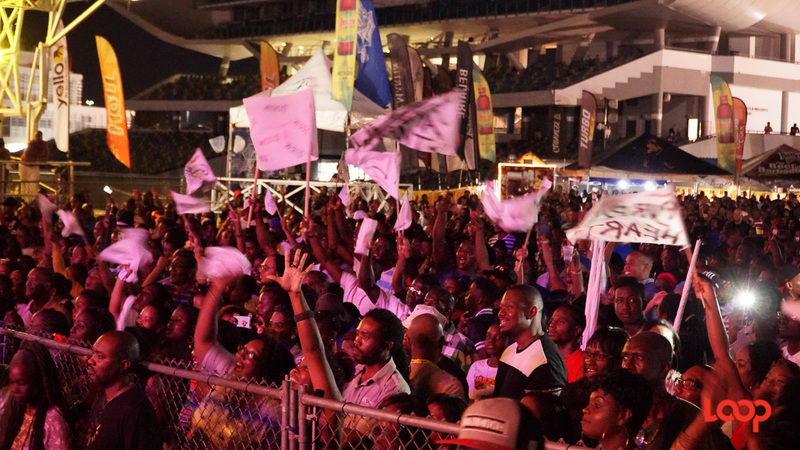 Yello Barbados had no choice but to cancel the inaugural Soca On De Beach event slated for today, July 1, 2018. 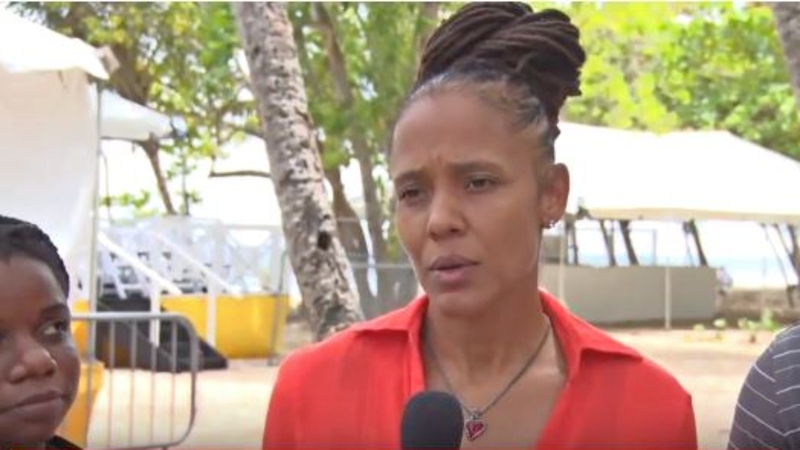 The promoters of the Soca On De Beach event which was to take place at the Drill Hall Beach this evening were forced to call off the event after they were informed that the location was a turtle nesting site. Speaking to Loop News following the cancellation of the event was Marketing Manager, Yello Barbados, Pamela Roach, who explained that Yello Barbados had no idea about the Drill Hall Beach being a nesting site, and was given permission from the relevant authorities to use the beach for the event ahead of today's appeal by the Sea Turtle Project. "First of all this event was supposed to be a giveback by Yello. It was a free event. We applied to the National Conservation Commission (NCC) for permission to use the Drill Hall Beach and we were given the permission." It was during the early hours of this morning that the company got the information from a representative of the Sea Turtle Project, which led them to meet with the appropriate ministers in order to come to an amicable agreement. Roach went on to explain that, "Earlier this morning the Director of Public Relations for the Sea Turtle Project, she came down to the beach and said that we were actually encroaching on the turtles' nesting site. So after meeting with the Acting Prime Minister, the Minister of Environment, and the Minister of Maritime Affairs and the Blue Economy, we came to an agreement that we would postpone the event. "Yello Barbados, we never had any intention of harming the turtles or displacing them, so we decided it was in our best interest to postpone the event for now," she professed. Roach further stated that the team took into consideration moving the setup to a different location but that just was not possible. 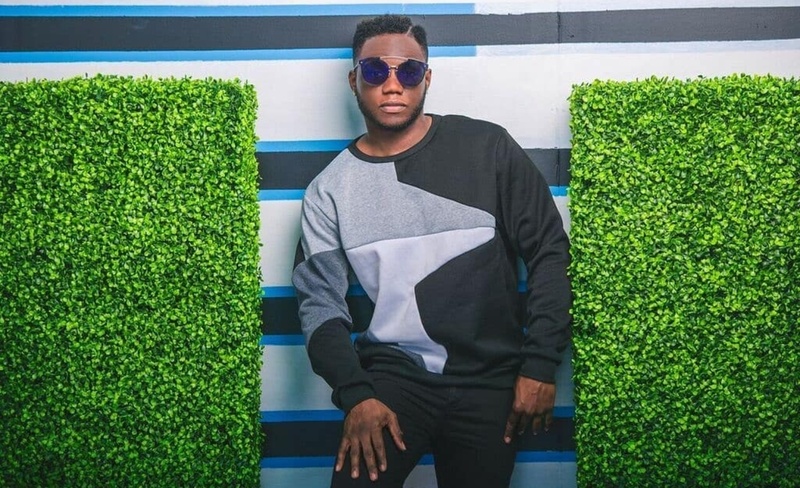 "The decision was made today between 11:00 am and 12:00 pm because we were discussing and trying to decide if we could move the stage and everything to a different area but that was not possible, so we just decided we'd postpone it today." Adding that the team is not sure right now when the event will happen, she said however that that would now be up for discussion before the team comes to the public again. The event was expected to attract over 2,000 persons from 4:00 pm until 9:00 pm. The 12 International Bashment Soca Competition finalists - King Bubba Fm, Hardware, Rameses Browne, Kirk Browne, Lady Essence, Hypasounds and some more surprise acts were all scheduled to take the stage along with the 2018 Stoli Dj Champion DJ Bon, Dave Smooth, Bill Gates, Switch and Keely, Daddy Biggs, 5 The Rough Way, Bubbles and Evolution, Mali Fresh and Scott Le Roc, Indian and Chris Gayle and Salt and Don. 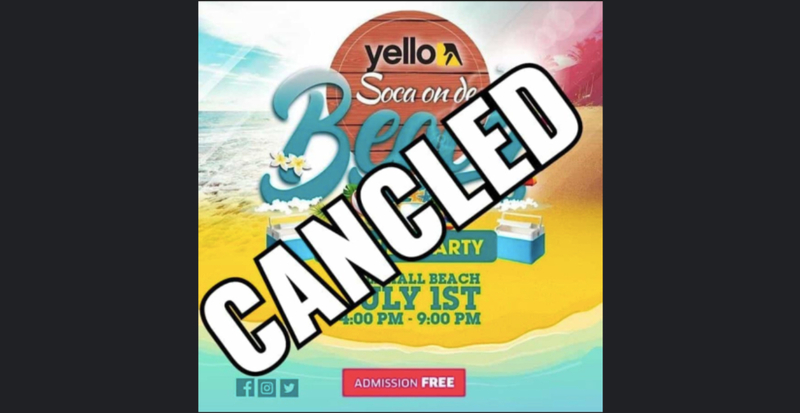 "Yello wishes to advise the public that Soca on the Beach scheduled for Sunday, July 1st, has been cancelled. Though the necessary permits were granted, once the issue of the Turtle Nesting area was brought to our attention, we immediately consulted with the organizers and key stakeholders to mitigate the potential harm to this environment. 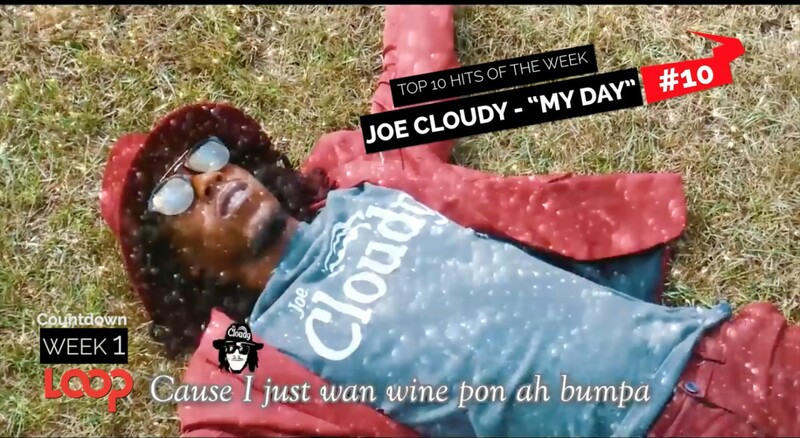 Soca on de Beach was intended to give back to Barbadians as part of our celebration of local culture during the Crop Over season. We apologise to our patrons and partners for any inconvenience caused. The preservation of our natural resources and habitats is important to us, as such we are taking the necessary steps to ensure that proper care is used is dismantling the infrastructure. We will continue to work with all key stakeholder groups to drive educational campaigns that will create awareness of these and other environmental preservation initiatives. Thank you for your support and understanding."